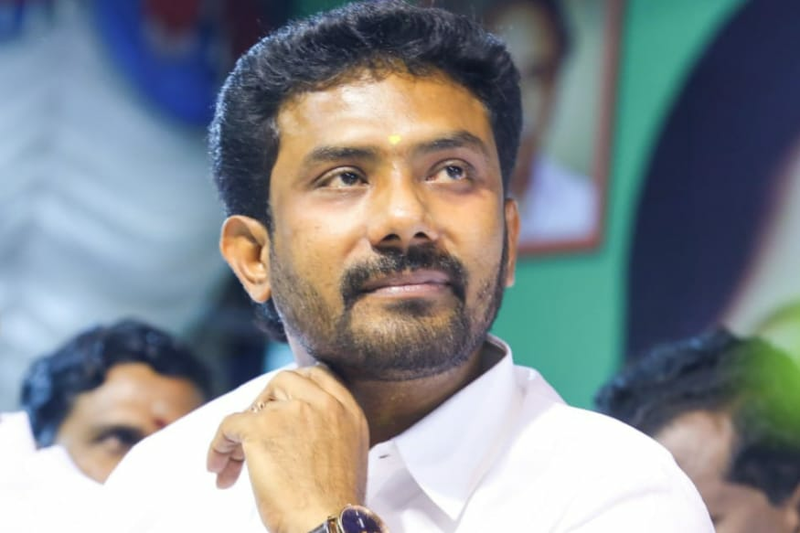 Chennai: P Ravindranath Kumar, the son of deputy Chief Minister and AIADMK chief O Panneerselvam, is gearing up to contest his first ever election this poll season. Kumar began learning the ropes of politics as the district secretary of Puratchi Thalaivi Amma Peravai’s (Theni) youth wing. During this time, he helped many contestants in electioneering, including AIADMK’s most bitter rival, TTV Dinakaran. “I have been a member of the AIADMK since 1998 after I completed college. Since then I’ve worked for the elections in 2001, 2004, 2006, 2009, 2011 and 2014,” Kumar said. For aspiring candidates like Kumar, who have a legacy to protect, elections can be a daunting process. But the 38-year-old is no stranger to the good, the bad and the ugly of electoral politics, having seen his father contest numerous elections up close. “When my dad contested for the first time for Tamil Nadu Assembly elections in 2001, I campaigned for him in Kodaikanal. He won by more than 14,000 votes. I campaigned for TTV Dinakaran and Thanga Tamizhselvam when they contested,” Kumar said. But the sailing might not be smooth for Kumar as opposition parties have already started levelling allegations of nepotism over his candidacy. Dinakaran, who founded the Amma Makkal Munnetra Kazhagam, has accused OPS of “promoting his son” and questioned how he could reconcile his son’s candidature with the fact that his ‘Dharma Yudham’ was to relieve AIADMK from the clutches of the Sasikala family. Just ahead of the 2016 elections, the Panneerselvam family was sidelined by Jayalalithaa, due to the handiwork of certain rivals, claimed Kumar. It was during this time that Kumar lost his post before being re-inducted by his father much later. “Amma would not have sidelined me wholeheartedly. She would have done it in critical situations. Many have faced this, including me. Even when I was sidelined, I did the same work as I would done when I held the post,” Kumar said. This time, however, it will be the party's executive committee which decides the candidates for the upcoming Lok Sabha polls. Kumar is entering the fray amid rumours of a possible alliance between the AIADMK and the BJP. He, however, said that the Tamil Nadu government had stood up to the BJP-led Centre on several critical issues. “Our party is not in power at the Centre. But our party is making efforts and raising issues that are pertinent to the state in Parliament. We have opposed anything that is against the state,” Kumar said, refuting DMK allegations that the AIADMK is acting against TN interests at the behest of the BJP.